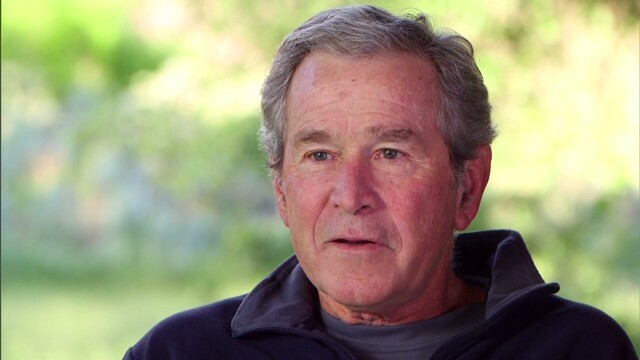 (CNN) - Former President George W. Bush had partial knee replacement surgery over the weekend - this time on his left knee, just weeks after the similar procedure on his right, his spokesman Freddy Ford said. The most recent outpatient operation was performed by the same doctor who worked on the right knee in Chicago on May 27, Ford said. @just saying: "good to see he is doing well and glad to hear he survived two trips to chicago, the corrupt democrat gangland murder capital." If memory serves, you've been calling to immediately deport the immigrant children fleeing violence in their home countries (including Honduras, which has the highest murder rate ON THE PLANET). You must be one of those "family values," "pro-life" folks, eh? They should have kept the knee ang through away the rest. You know, I like the man. Did not think much of him as president, but that's neither here nor there at this point. I hope his recovery is speedy and he gets to enjoy the quality of life any of us would want. For those of you on here taking partisan potshots from both sides of the aisle, STFU. The best care for President Bush is in Chicago, so perhaps some on here should be thankful that he can get the care he needs, and for those taking verbal jabs at him, show some respect. The Great W. Bush Tax Cut ain't hard to explain. He PROMISED the Mega Rich that he would restore the income tax levels to the Pre-Clinton Days. That was to make up for his Pop's Sin.He delivered. Didn't matter that Clinton had just PROVED to the World (22MILLION New Jobs) that Trickle Down/Reaganomics/Supply Side Economic does NOT Create Jobs.